The Investigate Box (£22 + £2 postage) has more experiments and more items of collectible lab equipment with enough to keep a junior scientist busy for 3 or 4 hours.Both kits have full-colour illustrated instructions and online videos to make it easy to do all the experiments. My eight-year-old is trying out the Investigate Box. 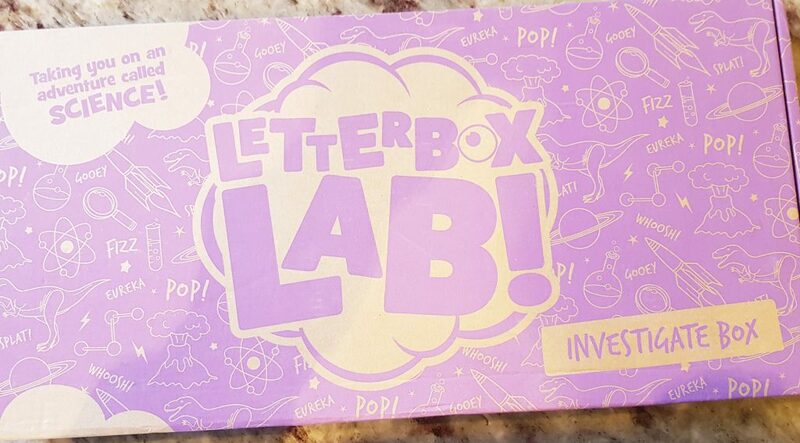 The box fits through the letterbox nicely. 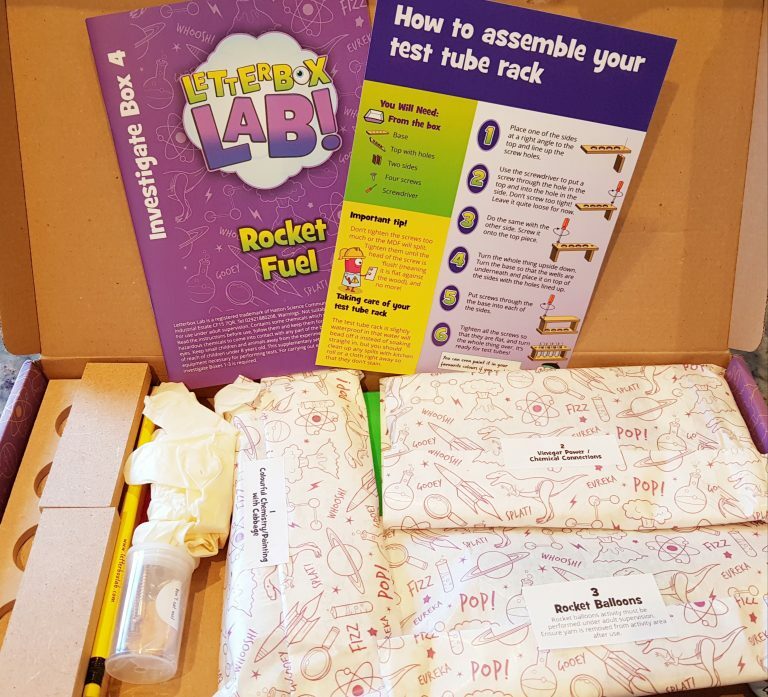 This month’s theme is Rocket Fuel, with six experiments in the box. As well as everything you need for the experiments, the bonus piece of equipment this month is a test tube stand to build! You’ll see how this comes in useful. 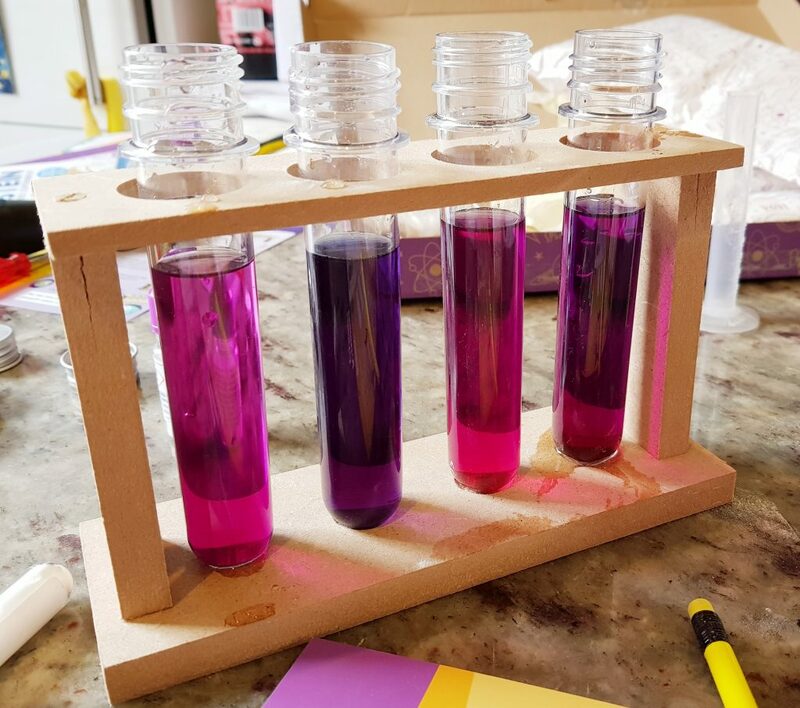 Colourful Chemistry explores acids and alkalies using indicator made from red cabbage. There’s the test tube rack! 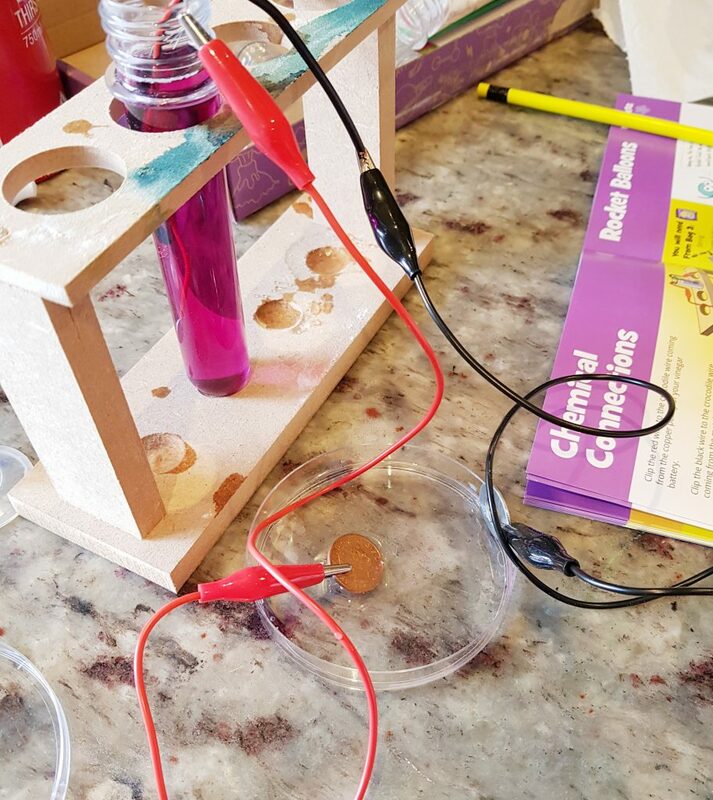 Children explore the effect of acid and alkali on the indicator, including a control tube. This experiment is very good for making observations and recording results. 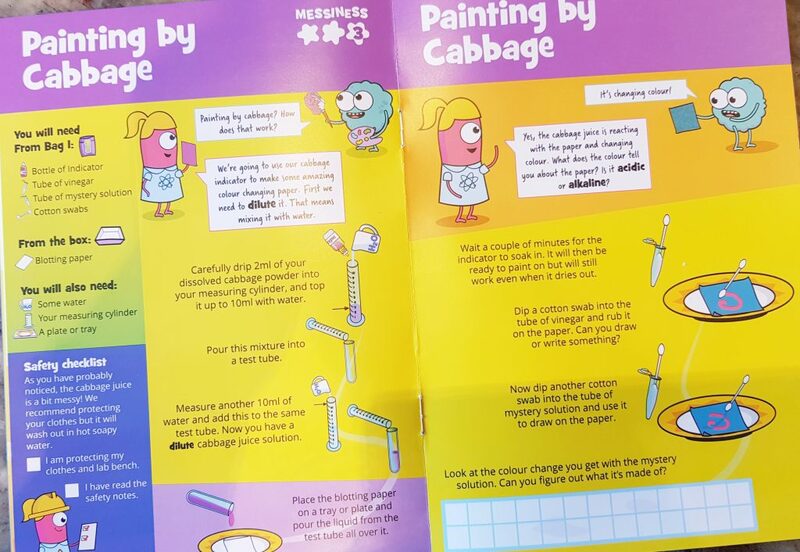 You continue the experimentation with Painting by Cabbage. 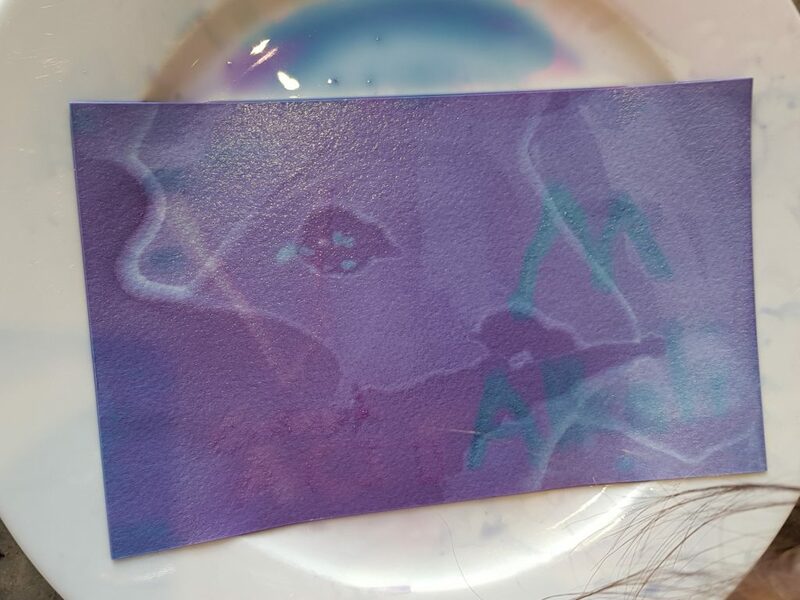 A piece of special paper is soaked in the indicator, and then a swab dipped in acid or a ‘mystery substance’ is used to make marks on the paper. 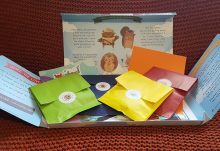 Children are encouraged to make a guess as to what the mystery substance is. 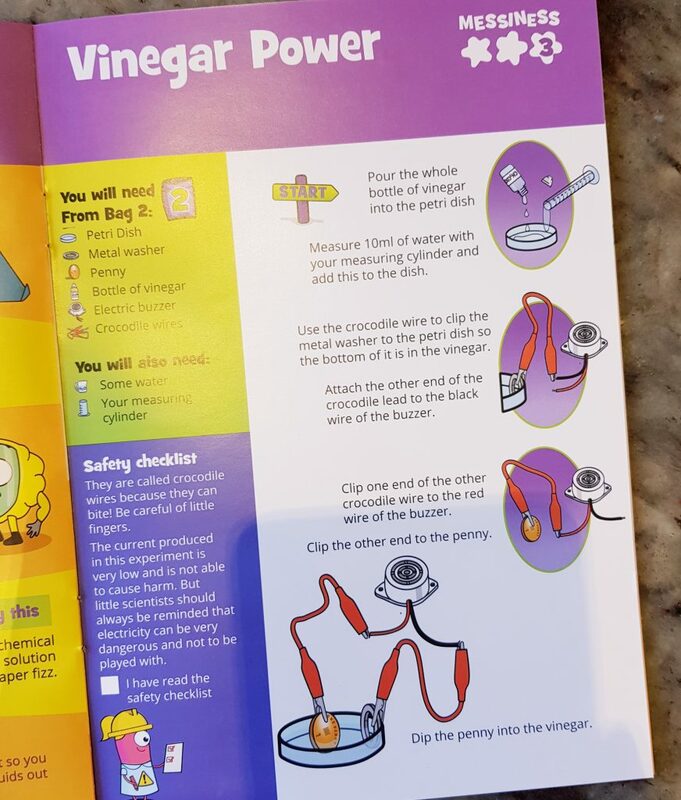 The next two experiments, Vinegar Power and Chemical Connections use vinegar to create a mild current, and see the effect it has on the colour of an indicator solution and an electric buzzer. The last two experiments are directly relevant to the name of this months box. Rocket Balloons uses those long squeaking balloons to demonstrate Newton’s First Principle. The balloon is also attached to a long string to see how far and fast it will fly. 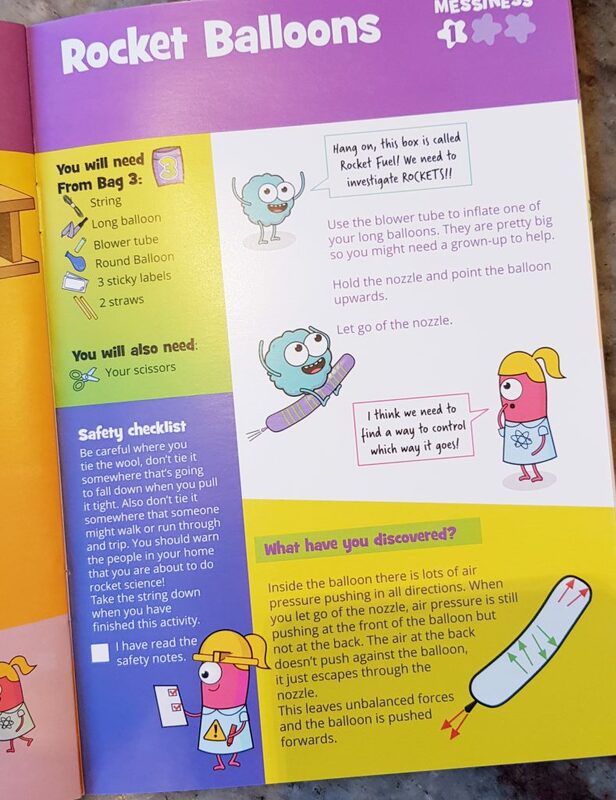 A normal round balloon is also included so you can compare the speed each balloon will fly along the string. Finally, the last experiment is the most spectacular – Fizz Rocket. This is another active experiment, and involves observing the effect of gas pressure. Make rocket with the materials included. 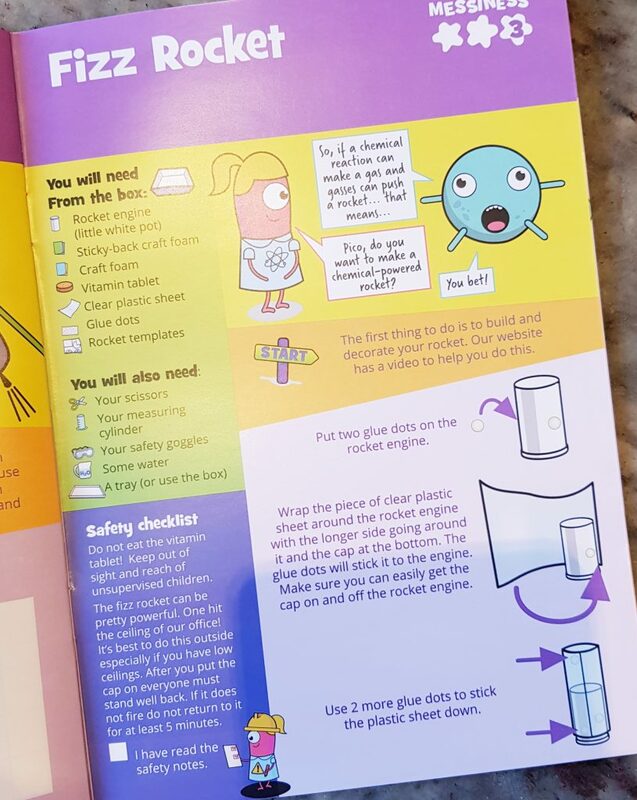 Inside the rocket is a plastic canister with a press on lid. You add a little water to the canister, add a piece of one of those fizzy vitamin tablets (also included), snap on the lid fast, stand up the rocket and wait. The gas released by the tablet and water will pop the lid off the canister and shoot the rocket up. It’s advised to do this outdoors, which is very sensible as our rocket flew pretty high! It was incredibly impressive, and as you only needed to use a quarter of a tablet, you have enough to do the experiment four times. This month’s experiments were tremendous fun. 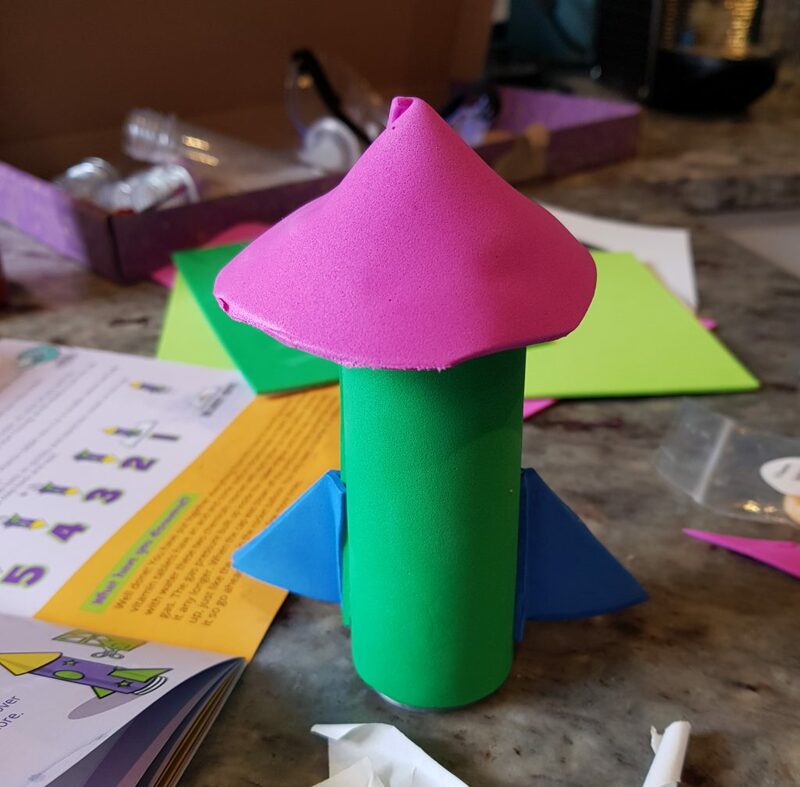 The Fizzing Rocket was definitely the most impressive, but the acid and alkali experiments are also incredibly effective, and have lots of opportunity for further experimentation. 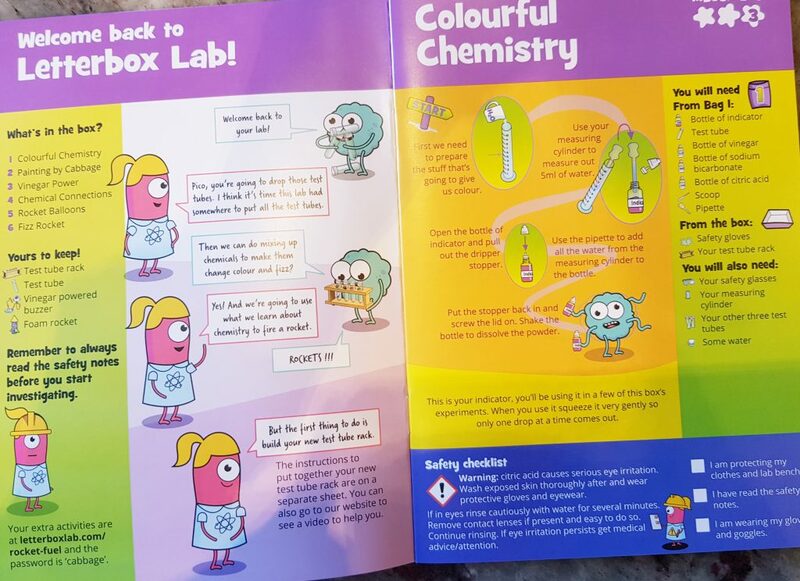 There is a lot for children to think about when doing these experiments. 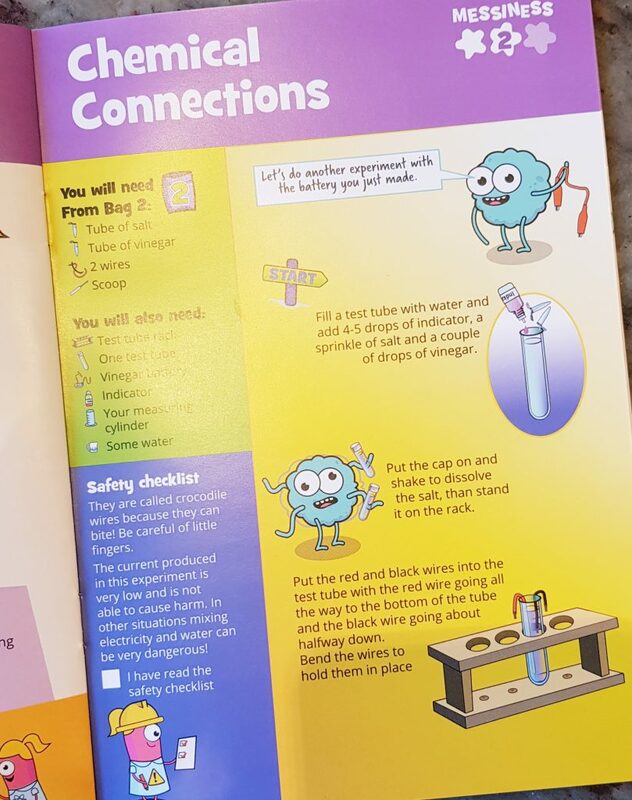 The instructions are incredibly clear, and children are always encouraged to think about wjat they’re doing, and any effects that might be produced. 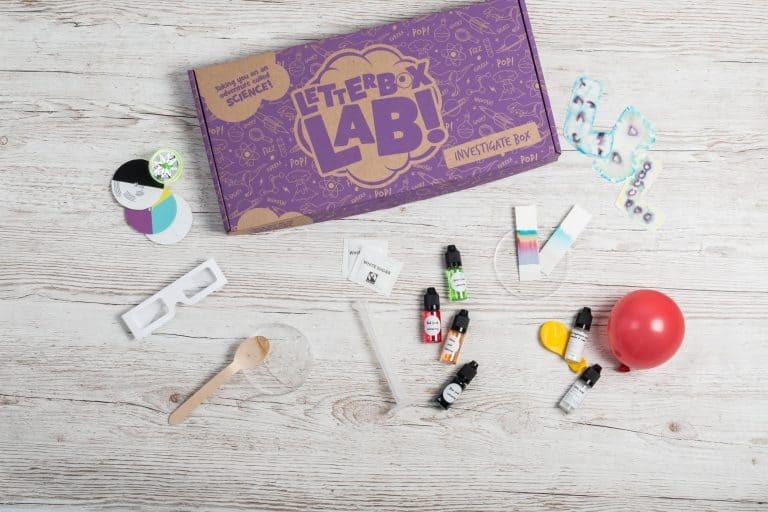 Letterbox Lab also gives plenty of suggestions for more things to do, and publish lots of helpful extras on their website. 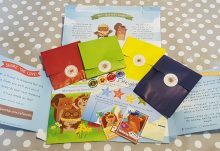 Lots of hands-on experiments, and children learn about scientific principles and methods whilst having fun!